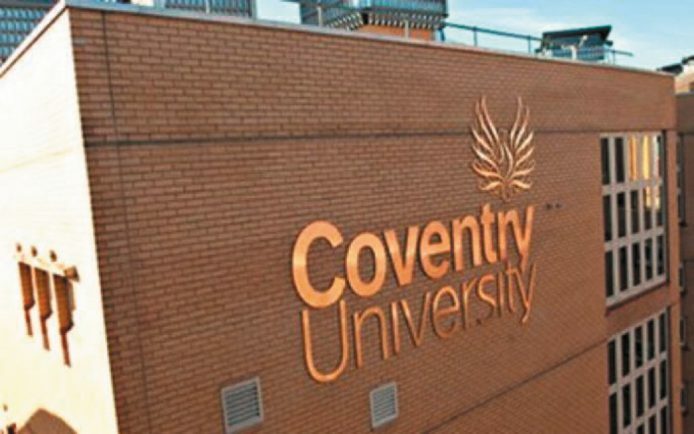 A COVENTRY University sports society has been suspended amid allegations its members wore t-shirts emblazoned with swastikas and the words ‘The Jews Deserved It’ at a party. Images from a ‘white-t-shirt’ student event are said to have circulated on social media prompting widespread anger. The claims have surfaced just over a fortnight since the city marked Holocaust Memorial Day. Coventry University Students’ Union president Tochukwu Ajare said: “We were made aware of images on social media of two of our students wearing t-shirts with anti-semitic and other offensive imagery and writing on them. “We understand these pictures were taken during a social event at a CUSU affiliated sports club. “We have immediately suspended the club while we look into the matter. “We do not tolerate anti-semitism or any form of hate crime. A Coventry University spokesperson said: “We are deeply concerned about this matter. A spokesperson for the Union of Jewish Students said: “UJS and Coventry JSoc are once again dismayed to see another incident of anti-semitic language written on t-shirts at a student party. “Students at Coventry University deemed it appropriate to draw swastikas and write ‘The Jews Deserved it’ on their t-shirts. “This year academic year we have already seen antisemitic incidents at ‘white-T-shirt parties’ in Plymouth, Lancaster and Newcastle, all revolving around the Holocaust. “There can be no excuse for the deliberate trivialisation of the greatest trauma in recent Jewish history. “We will be reaching out to Coventry University Students’ Union and Coventry University.